Boko Haram is a relatively new organization, having begun serious military operations against the Nigerian government in 2009. Abubakar Shekau leads a confederation of sub organizations with commanders who mostly control their own day-to-day operations. Shekau’s legitimacy comes from his position as deputy to the founder of Boko Haram, Mohammed Yusuf. 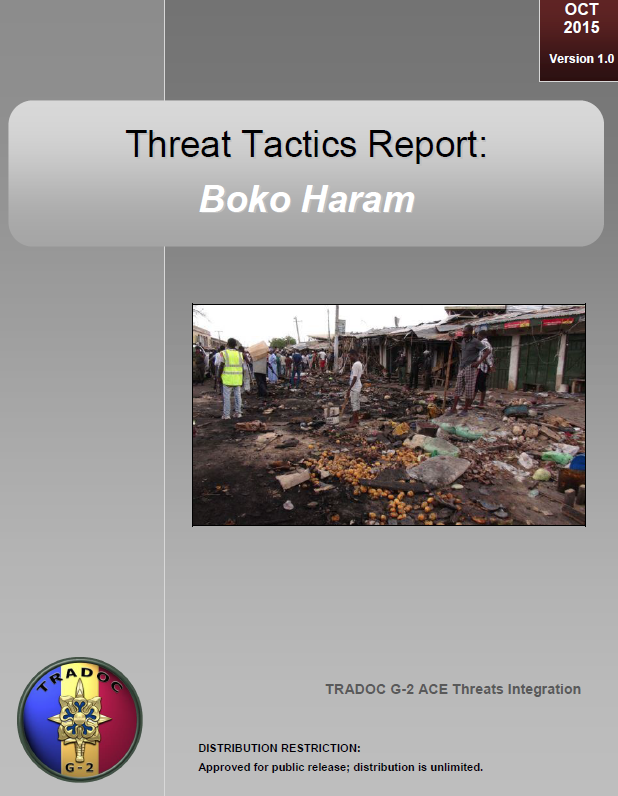 Boko Haram primarily conducts offensive raids, assaults, and ambushes against thinly-stretched and poorly-resourced Nigerian security elements and civilians in northeastern Nigeria. Influence from the Islamic State in Iraq and the Levant (ISIL), to whom Boko Haram recently swore allegiance, can be seen in an improved and increasing Boko Haram social media presence. 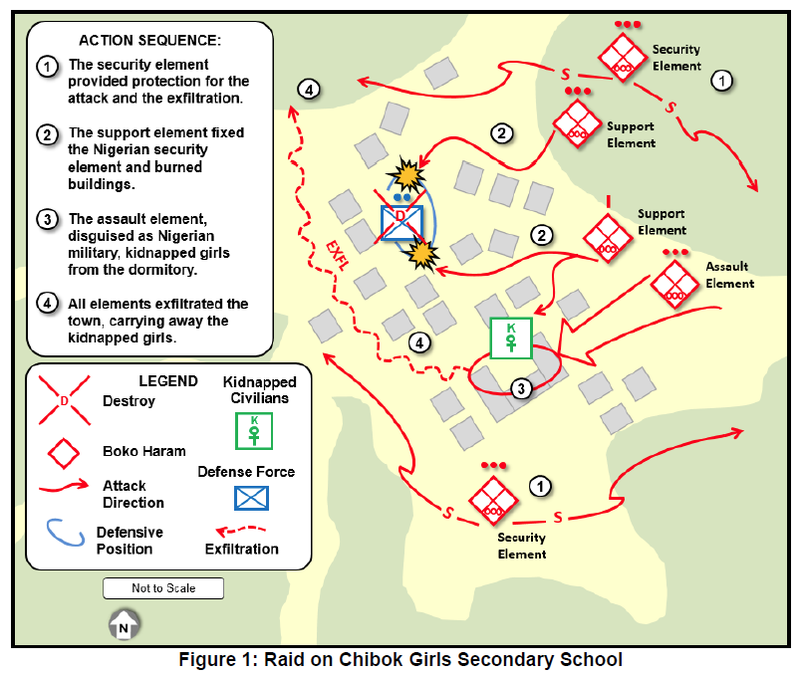 The Nigerian military counterinsurgency campaign begun in 2013 has reduced Boko Haram’s freedom of maneuver within Nigeria, causing it to setup safe havens in Niger, Chad, and Cameroon utilizing hundreds of unguarded border transit points. Due to a campaign of violence against civilians and businesses, Boko Haram has lost both Nigerian civilian support and recruits, causing it to look to disaffected and poverty-ridden areas in border countries, particularly Cameroon. Boko Haram’s violent attacks have alienated it from much of the Nigerian population. The movement is not without provocations which have contributed to the escalation of its use of violence in pursuit of its goals. Decades of resentment against corruption, poverty, and perceived inequality have given Boko Haram its trajectory toward becoming an ever more violent organization. The reintroduction of sharia criminal courts in northern Islamic states failed because of the general perception of unfairness by the population. Police brutality, extrajudicial killings by security forces, and disappearances of people taken into custody have bred general distrust, animosity, and resistance to the Nigerian government that has not fully investigated and prosecuted offenses. Despite being Africa’s largest economy with great natural resource wealth, it has one of the poorest populations with a large percent of people living on less than $1 a day. The disparity in distribution of that wealth is stark in its inequitable concentration with 72 percent of the North’s population living in poverty compared with 27 percent in the South and 35 percent in the Niger Delta. The population in the North is caught between two violent and contesting forces, Boko Haram and the Nigerian security forces.